Question #7: In a minute, provide argumentation for the Trinity in the New Testament (use at least three bible references). 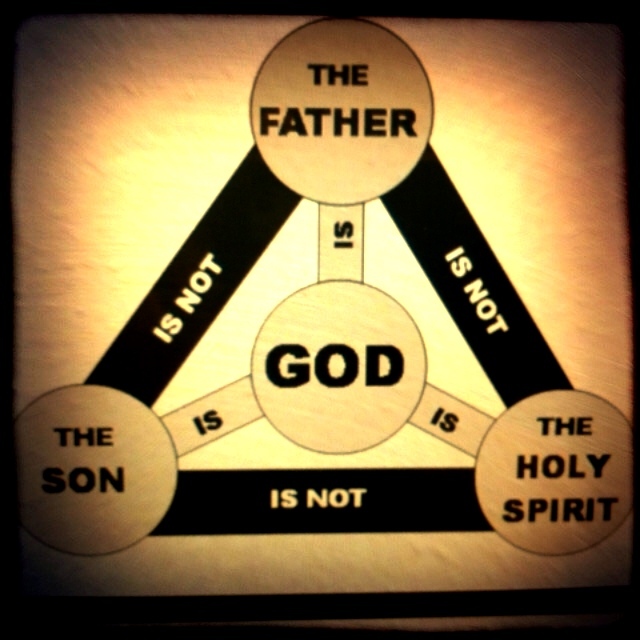 Answer: The New Testament “insists that there is only one true God” (see Ephesians 4:3-6) yet it recognizes the Father as God, Jesus Christ as God, and the Holy Ghost as God. “Do not labor for the food which perishes, but for the food which endures to everlasting life, which the Son of Man will give you, because God the Father has set His seal on Him” (Jn 6:27). See also 1 Peter 1:2. When Jesus saw their faith, He said to the paralytic, “Son, your sins are forgiven you.” And some of the scribes were sitting there and reasoning in their hearts, “Why does this Man speak blasphemies like this? Who can forgive sins but God alone?” (Mk 2:5-7). Compare with Daniel 9:9, “To the Lord our God belong mercy and forgiveness, though we have rebelled against Him.” See also Matt 9:4, 28:18, 20, Mk 2:1-12, Jn 12:9, Col 1:17, Jn 1:3, 5:27. “But Peter said, ‘Ananias, why has Satan filled your heart to lie to the Holy Spirit and keep back part of the price of the land for yourself? While it remained, was it not your own? And after it was sold, was it not in your own control? Why have you conceived this thing in your heart? You have not lied to men but to God‘” (Ac 5:3-4). See also 1 Cor 2:10, 6:19, and Jn 3:5-6, 8.